felt tip and a dip-brush. 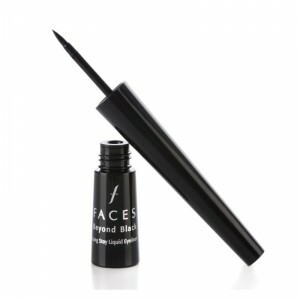 · Felt tip liquid eyeliner is very similar to a marker, and has the eyeliner fed through it like a pen. · A dip-brush liquid eyeliner is similar to nail polish in that it comes with a small bottle of the eyeliner with a brush that must be dipped in between each application. Rest your fingers on your face to create a stable base. Then use Liquid eyeliner to draw a smooth line from the inner corner of the eye until the outer end. Extend the winged line beyond the natural eye line, keeping it perpendicular to the eye brow. Once your basic cat eye makeup is in place, proceed to apply the Liquid eyeliner along the lower lash line. Extend it outwards and keep it parallel to the cat eye line. By the end of the application, you should have two small flicks for the double-winged liner to look bang on trend. Use your eyeliner to join the edge of the double-winged liner to the flick of the cat eye. This will create a thicker, curved stroke at the end of the eyes. 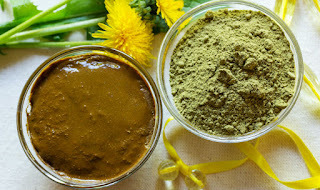 Mix the henna powder: Henna comes in a powdered form, and you must mix this with water before you can apply it to your hair. Mix ½ cup of henna with ¼ cup of warm water. Stir to combine. Stir in more water by the tablespoon (15 ml) as necessary, until the henna paste becomes the consistency of mashed potatoes. Once you’ve mixed the powder and water, cover the bowl with plastic and let it develop at room temperature for about 12 hours. When you're ready to apply the dye, mix in a bit more water until you have a thick but spreadable consistency. Dry your hair: Before applying henna, you'll want to start with clean hair. 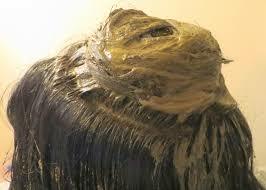 In the bath, wash your hair with your regular shampoo to remove dirt, oil, and styling products. Applying the Henna Paste: Starting with the top most layer of hair, grab a thin 2-inch-wide (5-cm-wide) section of hair from the middle back of your head. Comb this section away from the rest of your hair. 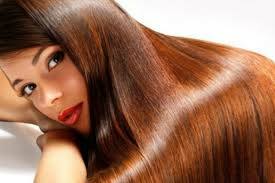 With a large tint brush or your fingers, apply 1 to 2 teaspoons (2 to 4 g) of henna to the roots of your hair. Spread the henna toward the tips, adding more paste if necessary. · When you’ve fully covered the first section of hair, twist it a few times and then wrap it into a bun on top of your head. 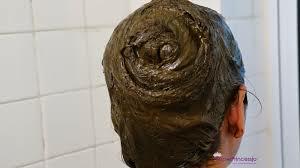 The henna paste is quite sticky, so the coil of hair will just sit there. · Apply paste to the next section. 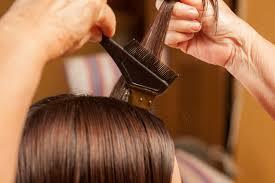 Working with the same topmost layer of hair, take a fresh 2-inch (5-cm) section of hair from beside the original section. Apply henna paste to the roots with your fingers or a tint brush. Work the paste toward the tip, adding more paste if necessary, until the entire section is saturated with henna paste. 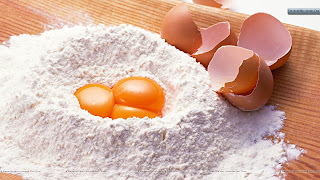 · Twist and wrap the section over the original bun. Twist the dyed section of hair a few times. Wrap it around the original bun that you created with the first section of hair. Because the henna is so sticky, the coil will stay, but you can pin it in place. · Touch up around the hairline. 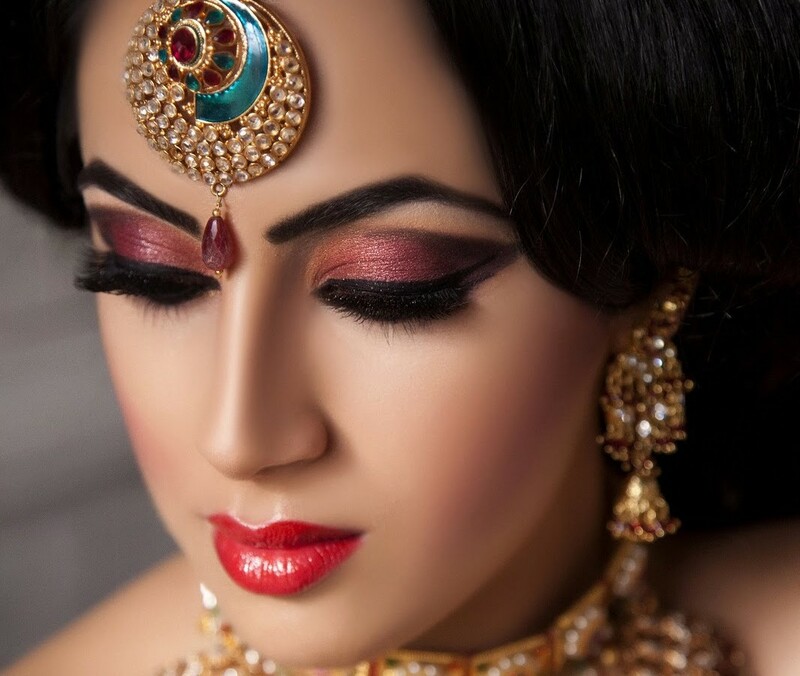 When every section of hair has been covered and twisted into the bun, go around your hairline and add more paste to areas where the henna looks sparse or more coverage is needed. Pay particular attention to the hairline line and roots. · Keep the henna warm and let it set. Henna generally takes between two and four hours to set. Rinse with conditioner. When the henna has had enough time to set, put your gloves back Continue conditioning and rinsing until the water runs clear and there's no paste left in your hair. Shaving is the simplest, easiest, and most affordable technique for underarm hair removal. This method will not give long-lasting effect and might cause bumps and rashes as the response to irritated skin caused by the razor blade. However, recent store-bought products which can be combined with shaving are able to provide more long-lasting effect. 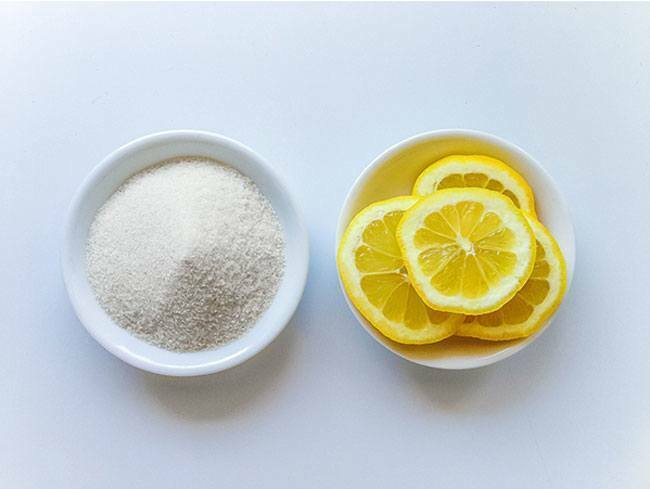 Mix 1 tbsp of sugar with 2 tbsp of lemon juice and make a paste. Apply this paste on your underarms in the direction of hair growth. Leave it for ten minutes and wipe with a wash cloth. Do this twice a week and it will slowly help remove hair over time. 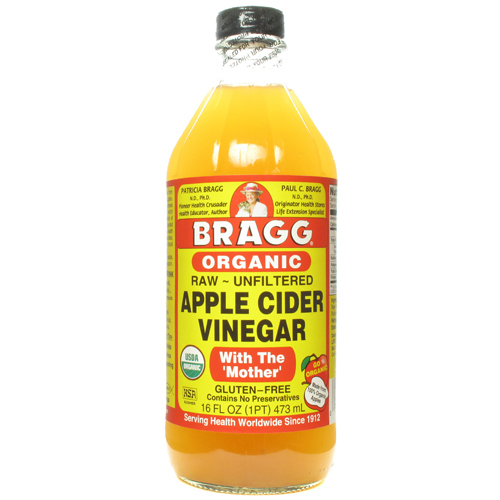 It also helps lighten the skin on your underarms. 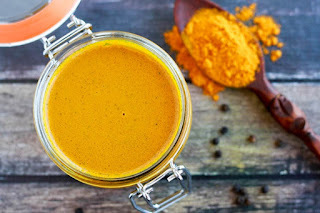 1/4 cup turmeric powder 3 tbsp Rosewater/Milk Combine the ingredients until you get a smooth paste Wash your armpits and pat dry with a towel. Apply the paste to your underarms and leave it on for about 30 minutes. 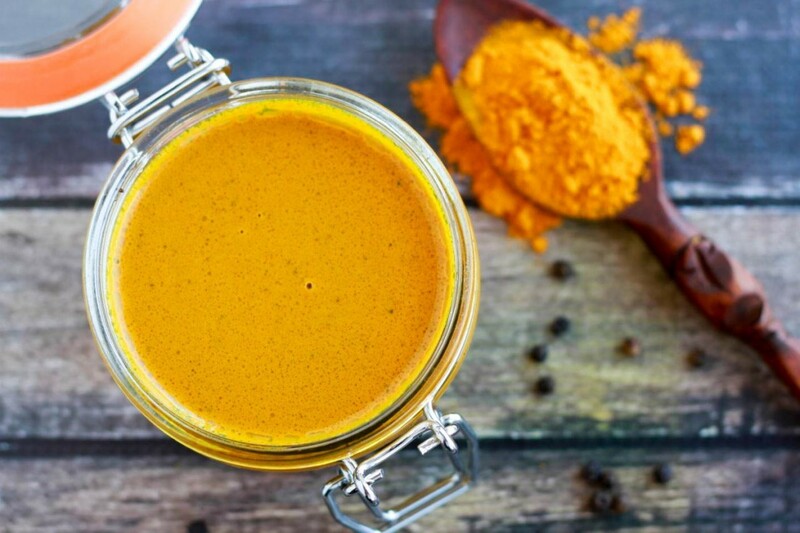 Soak a towel in warm water and wipe the turmeric off. Repeat this every day or every other day to reduce hair growth. Whip 1 egg white with 1/2 tsp of corn flour and 1 tsp of sugar. 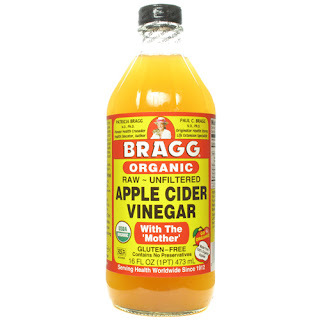 Apply this paste on your underarms and allow it to dry. Peel it off from the skin when it dries. 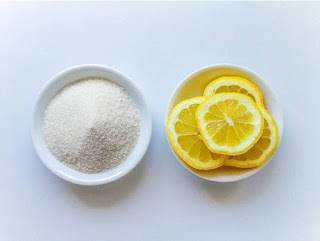 Repeating this weekly will help you remove your underarm hair while peeling off the mask. Compared to shaving tweezing gives a more permanent effect of hair removal .While shaving effects last only for 2 to 3 days, hair removal effects resulted from tweezing is going to last a little longer, which is 4 to 5 days. 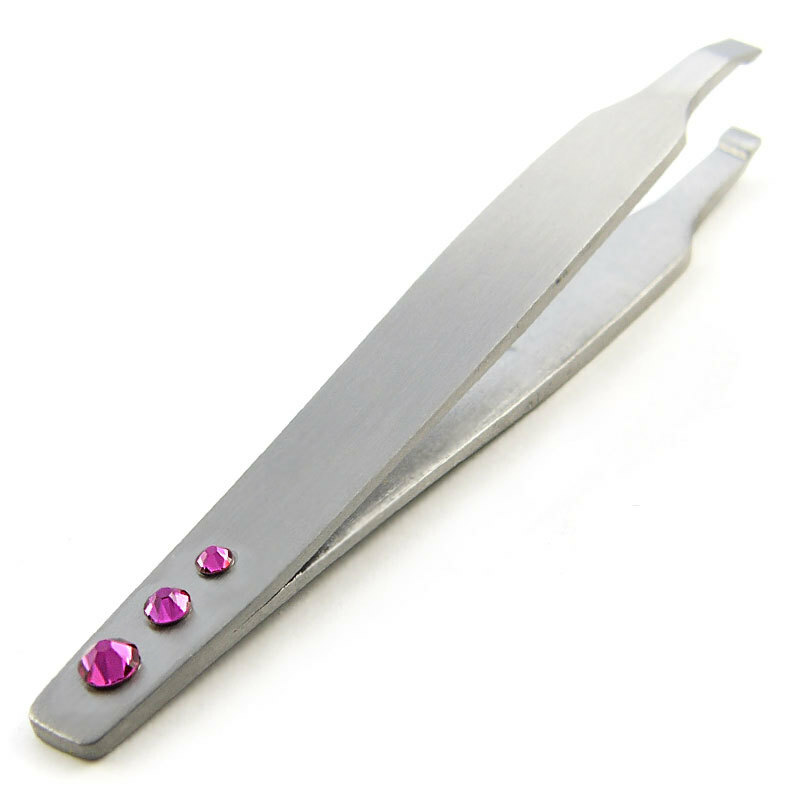 However, tweezing is also more painful than shaving and more effective for facial hair than underarms hair. A double chin is one of the most common physical signs of aging. It can also be a result of several other factors, including genetics and an unhealthy diet that is high in fat and calories. 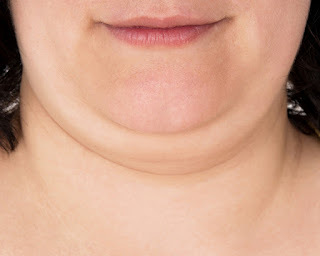 A double chin occurs as a result of loose skin and extra fat deposits. There are several chin exercises that you can do if you wish to get rid of your double chin. For the first exercise, begin by opening your mouth wide. Next, move your lower jaw in a downward and outward direction as though you are trying to “scoop” something with your lower jaw. You will know that you are doing this exercise right when you feel your lower teeth touch the top of your upper lip. Repeat the exercise as much as 15 times and do it several times throughout the day. 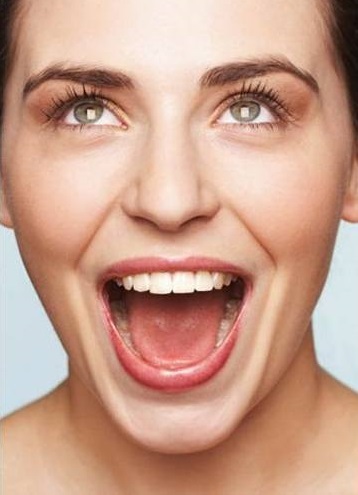 · Try not to engage any other facial muscles while doing this exercise; just use your lips. Hold your lips in a puckered position for a five-count, then release. Repeat the exercise 5 to 10 times in a row. While keeping a straight back, open your mouth as wide as possible. Place the tip of your tongue against the backside of your bottom row of teeth. Inhale through your mouth, and exhale while making an “ahh” sound. Relax the mouth and tongue. 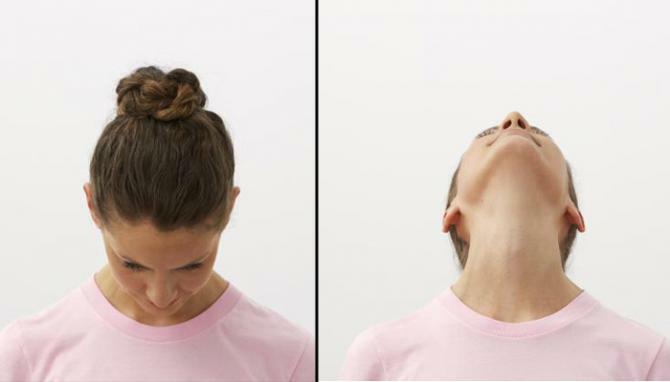 The neck roll not only tones and stretches the muscles of your jaw, throat and neck, but also releases tension from your shoulders and can ease neck and shoulder pain. If you wish to get rid of your double chin, you’re going to have to make certain changes in your diet as well. If you regularly eat junk foods, fast food and other foods that are packed with fat and calories, then you are going to have to eliminate these from your diet – or at the very least, cut back. Research suggests that consuming more calories than your body requires speeds up the aging process. It is also believed that cutting back on your caloric intake not only helps you get rid of your double chin, but also helps you lose fat in other areas of your face. Standing or sitting with your back upright, rotate your head slowly with your chin leading the way. Drive your chin to turn from one shoulder to another via the chest. Complete a set of 10 in each direction. Green tea contains potent antioxidants and various components that speed up your metabolism rate. This will help you burn extra calories and lose weight. 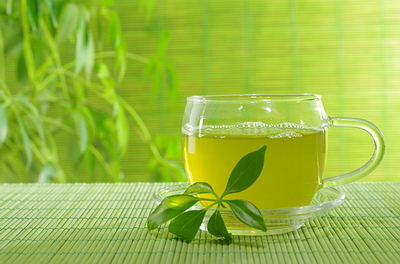 Start your day with a cup of green tea and drink several cups throughout the day. Green tea is available in different flavors, so you can choose one that suits your taste. Move your jaws up and down like you are chewing and keeping your lips together. Inhale deeply and exhale slowly. Open your mouth as wide as possible with the tip of your tongue pressed against your lower teeth. Holding this position, inhale then exhale with a `sigh' sound . The entire move should take 90 seconds.